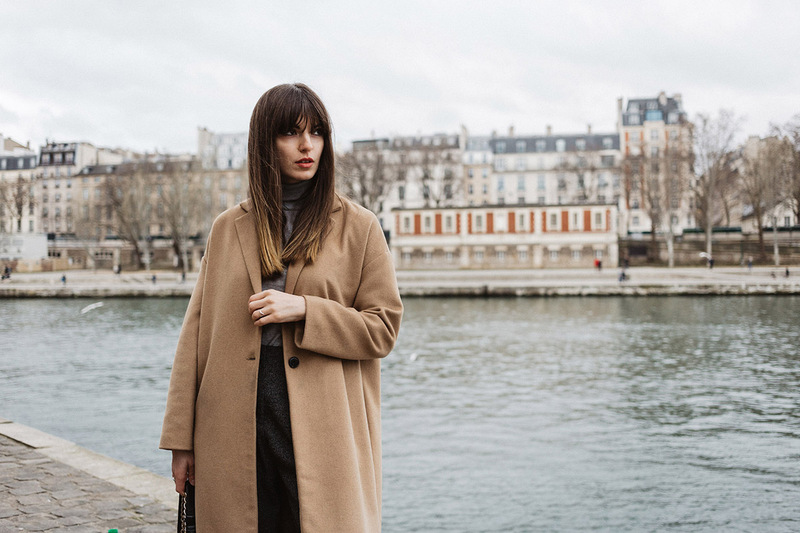 Now you are probably thinking, why are beige coats must have for this Spring if they were not for last one (and the wether was kind of similar)? Well again... (Unfortunately) it's not exactly me who is deciding seasonal trends and all I know is that somehow we all started wearing these beige coats for this season and unlike some other trends, they look absolutely fabulous. The good thing is, that any money you'll spend in this coat it's gonna be an investment, because beige is classy and elegant colour and gonna be always a necessary piece for an elegant woman. It's easy to combine almost with everything, since it's a neutral and friendly with other colours. In my case I combined with a dark grey cropped palazzo trousers from Mango (here), light grey turtle neck sweater, and my very favourite Stan Smith (Adidas) sneakers. Unfortunately I can't link the coat, since it's sold out, but it's from Stradivarius, and you can still find them in similar shops.